College athletics programs are in the business of creating memories, not just selling tickets and merchandise. Going out to the stadium for a game with friends and family is often one of the most cherished experiences for sports fans. However, attendance at college sports games is declining across the country. With this in mind, it's important that your staff is doing everything they can to get people out to games and create memorable experiences to keep them coming back. 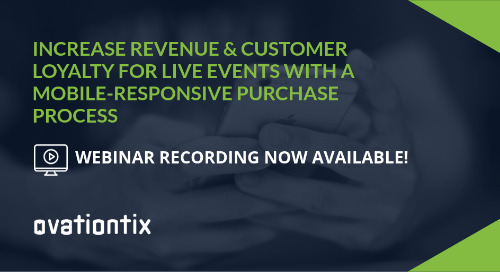 In this webinar, OvationTix's own Michael Hughes walks through some strategies that your athletics programs can use to engage fans in 2019 and beyond. See the recording of the webinar below. Enter your information to view the webinar.